Pace:Shortest Completion time is One Week. 3 Weeks of Study Recommended Before Certification Testing. Dr. Ihaleakala Hew Len, modern Ho'oponopono developer, therapist, and revolutionary spiritual, emotional, and material problem solving expert. 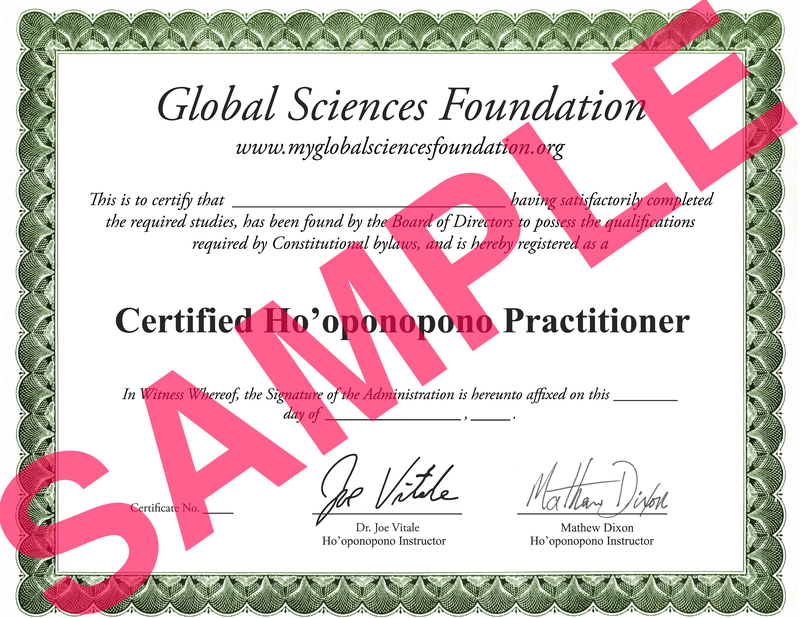 Upon completion of your training, you will be certified by the Global Sciences Foundation to practice Modern Ho'oponopono. As you'll discover through guided step-by- step lessons, Modern Ho'oponopono takes the ancient Hawaiian healing practice one-step further, unlocking an ability to heal both yourself and others, by simply cleaning away your own memories, erasing the data of the mind, and allowing multi-dimensional light into the conscious and subconscious mind. Dr. Ihaleakala Hew Len and Dr. Vitale will show you how the modern Ho'oponopono healing process can be embraced though remote and in-person practice with patients. You'll discover real-world evidence of Modern Ho'oponopono's remote healing power and properties. With Modern Ho'oponopono, you can take 100% control of your life! Unlocking the Power of Ho'oponopono – Discover the path you'll follow to become a proficient certified practitioner of Ho'oponopono, utilizing the time-tested mantra, prayers, cleaning tools, and meditations in modern practice. Traditional Ho'oponopono Practice – Uncover the historical foundations of mental cleansing as you learn to bring the restorative and corrective power of Ho'oponopono into relationships among people, families, between subjects and goals, and more through divine interconnection. Who Was Morrnah Simenoa – Learn from the modern master of updated Ho'oponopono practice and discover how the traditional Hawaiian group process unlocks a working partnership among the three parts of the mind or self—from subconscious to superconscious. Modern Ho'oponopono One-Step Further – Ho'oponopono practice is responsible for multiple miracle healing and mind cleansing events, learn more about how Dr. Ihaleakala Hew Len, one of Morrnah's students took Ho'oponopono one-step further to create these incredible healing experiences. The World's Most Unusual Therapist – Follow Dr. Vitale's journey of discover as he explains how the "World's Most Unusual Therapist" healed and cleansed the mind of patients without ever seeing them in his office. Video Instruction – After you've learned the basics of Ho'oponopono practice, historical background, and definitions, it's time to move on to guided video instruction. Let Dr. Vitale and Dr. Ihaleakala Hew Len guide you through your video lessons. Zero Limits Answer Guide – Learn the answers to key questions of Ho'oponopono practice directly from Dr. Vitale and Dr. Hew Len. Many of these questions came from self-practitioners who learned Ho'oponopono from the bestselling book Zero Limits, by discovering these answers, you'll lay the groundwork for Ho'oponopono practice. Video 2 – Zero and the "Void"
Understanding Your "Wall of Memories"
Dr. Joe Vitale is the author of many bestselling. Some of them include The Attractor Factor, Life's Missing Instruction Manual, The Key, Faith, Attract Money Now and his latest is a sequel to his bestseller, Zero Limits which was officially launched in January 2014, entitled At Zero.He';s also recorded many Nightingale-Conant audio programs, to name a few, The Awakening Course, The Missing Secret, The Secret to Attracting Money, The Abundance Paradigm, The Ultimate Law of Attraction Library and his latest release is called, The Zero Point. Joe has also been in several movies, including the blockbuster The Secret. He';s been on the following TV shows: Larry King Live, Donny Deutsch';s "The Big Idea," CNN, CNBC, CBS, ABC, Fox News: Fox & Friends and Extra TV. He';s also been featured in The NewYork Times and Newsweek. One of his most recent accomplishments includes being the world's first self-help singer-songwriter as seen in 2012's Rolling Stone Magazine®. To date, he has released 6 albums! Several of his songs were recognized and nominated for the Posi Award, regarded as "The Grammys of Positive Music." Q: Will I need any other training in order to practice Ho'oponopono besides your course? Q: Will I be properly trained if all I take is your online Ho'oponopono Certification Course? Q: What about licensing requirements for Ho'oponopono Practitioners. Are there any? A: At this time, to the best of our knowledge, there are no licensing requirements for Ho'oponopono practitioners anywhere in the World. However, if you start a business, you will generally need a business license. A: A 'Certified Ho'oponopono Practitioner' qualified by our standards to teach and practice Ho'oponopono. 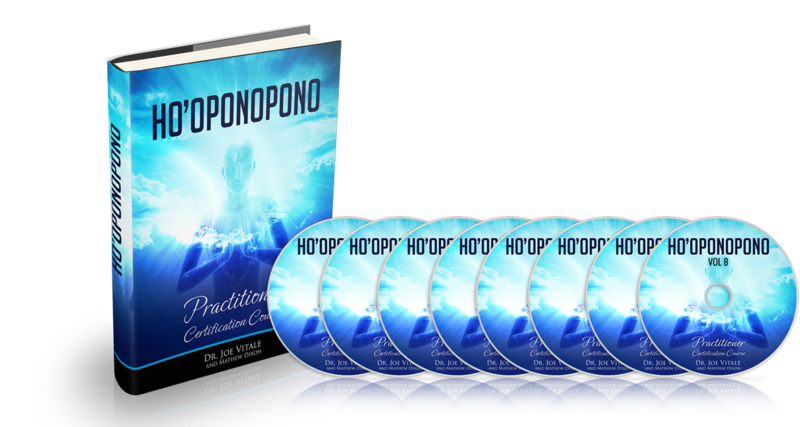 Q: What do I get when I buy the Ho'oponopono Certification Course? A: You get instant access to a 42-page eBook and 8 videos totaling over 6 hours. A: It takes about 2-3 weeks if you move quickly by reading the eBook and watching the videos. A: Upon completion of this program, you will receive a beautiful certificate sent via email, which you can print out and proudly display for your clients to see. It will have your name, title (Certified Ho'oponopono Practitioner), and your certification number. Q: Do I need an advanced degree to practice Ho'oponopono, such as a bachelor';s degree or a master's degree? A: Yes. You will be listed on the online international list of Ho'oponopono Practitioners. A: Yes. 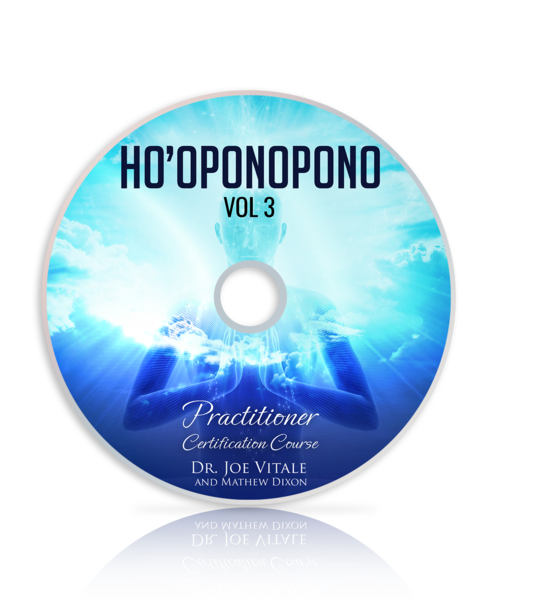 This program is extremely thorough and it will teach you everything you need to know to be a Certified Ho'oponopono Practitioner and help you run your own practice.